They’re determined, ambitious and want to fight for the causes they believe in. But without experience, a professional network and, increasingly, opportunities, many young people get disheartened as they try to change the world. According to the International Labour Organisation, 75 million young people are currently out of work and many more young people aged 16 to 24 have given up even trying to look for a job. But one global network believes the answer lies in giving young people the skills they need to create their own projects. Global Changemakers is a British Council-funded initiative that aims to enable social change by breaking down the geographical, financial, social and age barriers facing young people who want to change the world and the communities around them. The project brings together 700 ‘Changemakers’ alongside 200,000 young people aged between 18 and 25 involved in Global Changemaker projects. 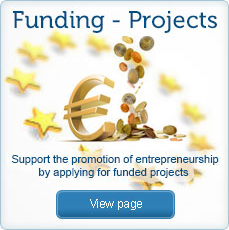 As well as a web portal, members are given help with mentoring, counselling, networking and at times even financing. Participants are selected based on a proven track record of social entrepreneurship, community activism or volunteer work. They are then put in contact with international organisations, experts, mentors and, most importantly, with each other. Regular summits are organised and the next – the Euro-Africa Youth Summit –will take place in Brussels between June 22 and 26. 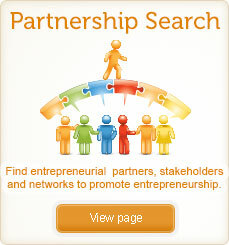 It will bring together 60 young entrepreneurs, selected from around 1,500 applicants, from across Europe and Africa. Participants will take part in workshops and debates, including an ‘EU day’, where they will have the chance to meet experts who work in or around the EU institutions. Matthieu Delage of the European Confederation of Junior Enterprises is one such EU expert who will do his best to inspire. “Your idea doesn’t need to be revolutionary. If you go for it and can connect with people who will support you, you will be surprised by what you can achieve,” Delage says. Nor should lack of money be a setback, says Madi Sharma, a British businesswoman who will also be speaking at the EU day. Sharma is a member of the Employers Group of the European Economic and Social Committee, a serial entrepreneur and founder of the Global Entrepreneurial Envoy, a web portal that aims to create a sense of community among like-minded entrepreneurs. At 29, Sharma was a single parent and a victim of domestic violence, had no skills and no qualifications. Then she started selling Indian food that she made in her kitchen. Today she runs the Madi Group, a group of private sector and not-for-profit businesses that includes an import/export company, an entrepreneurship education programme, a business consultancy and a brokerage company. “They say I am inspirational, I don’t understand why – I just have an objective to make people believe in themselves and their ability and to tell them how I did it,” Sharma said. This Euro-Africa Youth Summit could not have come at a better time. Africa has seen world-topping growth in the past few years and has managed to escape the worst of the financial crisis. But much of this growth has not resulted in job creation, according to the African Economic Outlook report, leaving around 62 million young people unemployed. In fact, in Africa, more than half of all unemployed people are aged between 15 and 24. In Europe, too, the unemployment rate has risen sharply since the first quarter of 2008 as a result of the economic crisis. The youth unemployment rate in the European Union was around twice as high as the rate for the total population throughout the last decade, according to the European Commission’s statistics office, Eurostat. A third of all young people in Portugal, Italy and the Slovak Republic are also out of work. The EU as a whole nearly hit a historic high this spring, according to the latest report published by the Organisation for Economic Co-operation and Development. “More than one in five young people in the labour market in France, the United Kingdom, Sweden, Poland, Ireland and Italy are out of work,” the report says. Eurostat calculates that youth unemployment rates among the 27 EU countries has climbed from an average of 15 percent at the end of 2007, as the credit crisis was beginning to hit, to around 22.5 percent in April 2012. This average figure masks the even higher rates in some parts of the EU, which reached more than 50 percent in Greece and Spain in February 2012. “Africa and the EU are not valuing their young people, they are not giving them the opportunities to prove themselves – it is our responsibility to support these wonderful people whose brains can help us solve the challenges of the planet,” says Sharma. “Gathering for five days is an extraordinary opportunity for knowledge sharing,” Delage adds, saying that one of the main reasons for the lack of young entrepreneurship is the lack of skills, as the subject is not usually taught in schools. But entrepreneurship is not just about setting up a business. 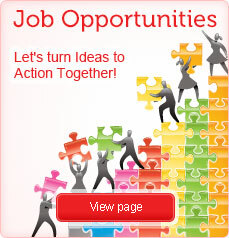 “An entrepreneur is someone who turns an idea into an action. It’s actually about changing the norm – that’s what Global Changemakers is about,” says Sharma. But being an entrepreneur doesn’t have to be a lonely experience, she says. “You believe that only you are going through the challenges and that no one can help you – that’s a myth! Millions of people across the globe are entrepreneurs in the same situation and the more we share our opportunities, solutions and challenges, the more we can create solutions,” she adds. The purpose of the summit is to turn creative youths into ‘changemakers’. “We have 200 projects that started like that. We select people with a track record, we take them to a regional and global summit and after two weeks of training, they are eligible to become Global Changemakers,” Katherine Hermans, head of communications for the programme, says. “They see something is wrong and they step up to change it.” Usually participants of these summits learn how to scale up the efforts they had already started back at home. But one of the best things it gives young people is a chance to meet the like-minded. “If you’re young and you want to bring about change, you’re the odd one – but we put the odd one and the other odd one together,” Hermans says. The roadblocks in implementing a project at national level, both in Africa and Europe, are manifold, and they’re not just financial. Through Global Changemakers and the network of NGOs, policy-makers, organisations and other people doing similar projects around the globe, youths can acquire entrepreneurial skills that employers ask for and that are not taught in school. And most of the 60 participants will apply for grants from the British Council of up to €1,000 –and will continue to seek other forms of sponsorship at home. But that is just one small part of what they want to take home with them. “My expectation is to meet young people from countries all over the world who are changing the world through their innovative ideas, network with them and learn from each other,” says Brian Magwaro, a 24-year-old from Kisumu in Kenya. Magwaro runs a project that aims to prevent violence and promote health education through sports. Following the ethnic violence that broke out after the disputed 2007 elections, he decided to use football as a way to bring together people from different ethnic groups to train, travel and play as one team. Madeleine Joss, 24, Paris-born but of Cameroonian and Senegalese parents, is working on a project to end ethnic profiling in France. She found, together with social NGO Humanity in Action Network, a way for ethnic minorities to keep a record of every time they are stopped unlawfully by the police. She is coming to the Global Changemakers summit to join forces with others interested in the same idea. “Hopefully we will also exchange our practices or even start a project together as we are facing global issues. I want to have a broader vision of how to implement a project,” she says. However, it is not just the change that is important, said Zuzana Vancova, a participant who co-founded in Slovakia a project called Be Ambitious, which encourages young people to engage in extra-curricular activities such as competitions, workshops, discussions and conferences. “It’s more about helping people around us, helping them find their own way, their own happiness. And this is what I think the summit tries to encourage,” she adds.